The high-profile campaigner for a new Brexit referendum hit out at members of the European Research Group (ERG) of Tory MPs who have urged Prime Minister Theresa May to take a tougher stance on EU withdrawal. 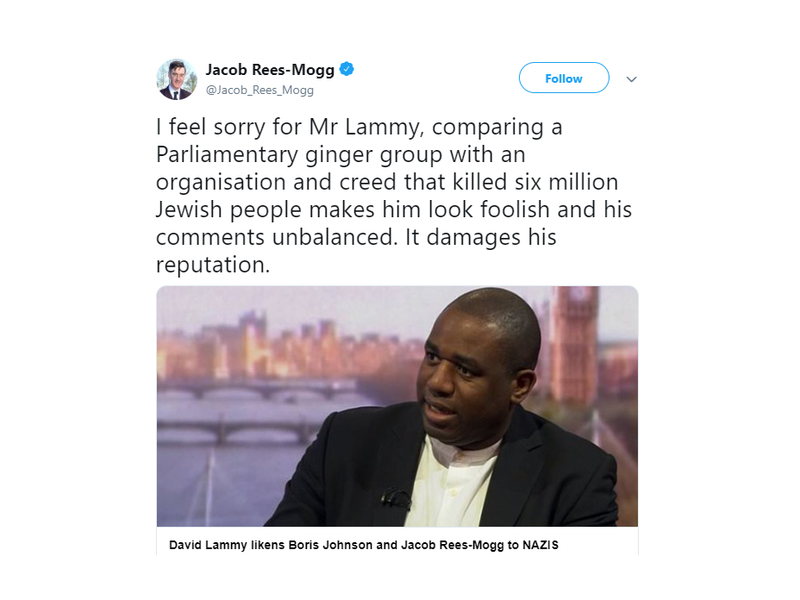 Mr Lammy defended his views when asked on BBC1’s The Andrew Marr Show whether a comparison he previously made between the ERG and the Nazi Party and South African racists was unacceptable. The Tottenham MP replied: “I would say that that wasn’t strong enough. In 1938 there were allies who hatched a plan for Hitler to annex part of Czechoslovakia, and Churchill said no, and he stood alone. Mr Lammy added: “They’re happy to use the phrase ‘grand wizard’. KKK is what it evokes to me when I think of that phrase and the Deep South. 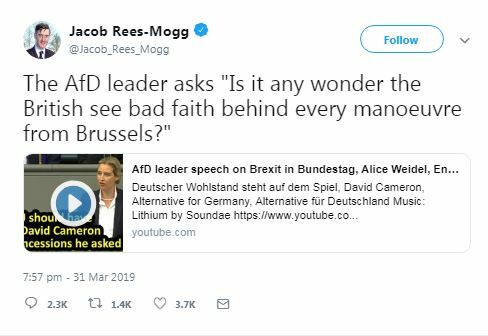 Earlier in April, Mr Rees-Mogg provoked outrage after he promoted a video of a German far-right party, Alternative for Germany (AfD) party, speaking in parliament. Rees-Mogg insisted: “No, I’m not supporting the AfD”, after being criticised for sharing footage of a speech by Alice Weidel, the co-leader speaking in parliament. 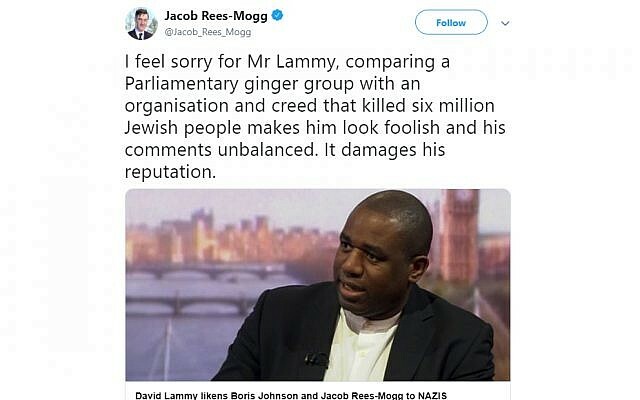 A Board of Deputies spokesperson criticised him at the time saying: “Jacob Rees-Mogg was wrong to re-tweet a video promoting a German far-right party”, while the CST also criticised him.